Vintage Comfort tapestry shows a lovely country house scene in a gorgeous light. Here we see a patio in a country house, with purple hairs and deep green foliage. The beautiful light is casting shadows on the deck to create a lovely effect. The color palette is cohesive and is very balanced with browns and beiges relating beautifully with the purples and greens. 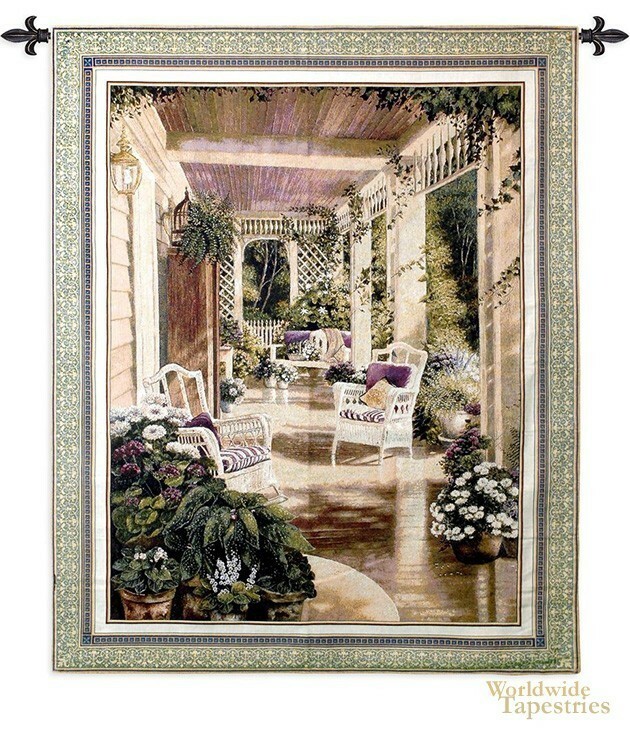 This Vintage Comfort tapestry is backed with lining and tunnel for easy hanging. Note: tapestry rod and tassels, where pictured, are not included in the price.